So I know it’s spring and root vegetables are more of a fall thing, but, I live in Florida. All the seasons are the same to me! And I can’t get these roasted little treasures out of my head. 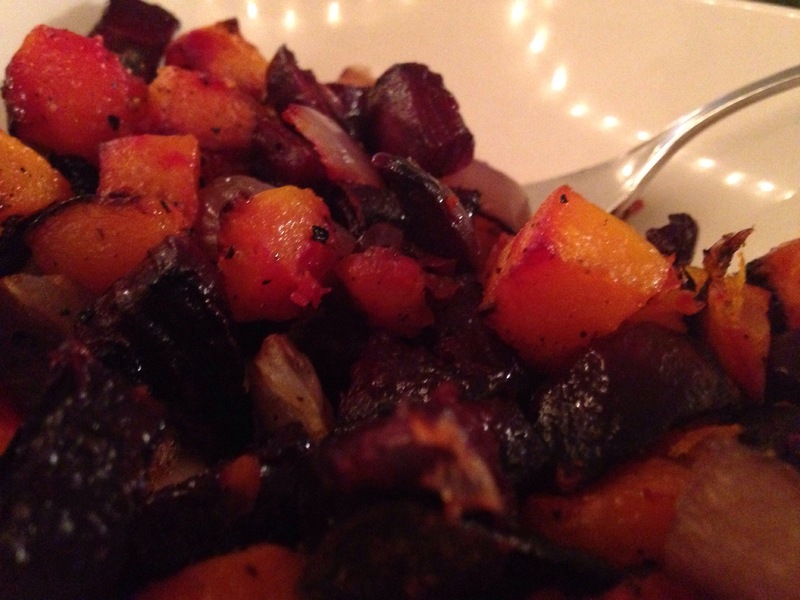 I roast butternut squash, beets, and red onion together for a hearty bowl of roasted goodness. These can be served as a side to any protein, put on top of a salad, or just eaten straight from a bowl. However you eat them, I hope you enjoy! Pre-heat oven to 350. Peel and cube the squash and beets. In a large bowl, toss squash and beet cubes in 2 tablespoons olive oil, salt and pepper. Once evenly coated, spread on a cookie sheet so most the veggies aren’t touching each other. Put in the oven and let roast for about 45 minutes, or until you can see the edges getting a little brown, turning halfway through. Cube the red onion and toss with some oil, salt and pepper. Add to the sheet, mixing all the veggies together and spreading them out again. Roast for another 20-30 minutes, until veggies are desired done-ness. I like to add the onion after the squash and beet have cooked for a while because otherwise it tends to burn.